Topman is offering a massive 60-percent off select items in its online store in the run up to Christmas. The mega sales event starts today (December 19th), and should give shoppers the chance to kit themselves out with an entirely new winter wardrobe for less. Best of all, the discount isn't only valid on Topman's own items, but can be used across every single fashion brand available from the high street store, including Levi's, Calvin Klein, Converse, Dr Martens, Tommy Hilfiger, Fred Perry and Kappa. 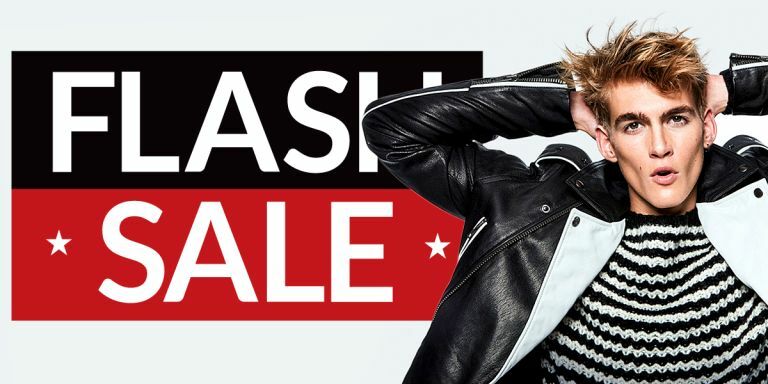 To take advantage of this stellar sales event, head over to Topman UK and start adding your favourite clothing, suits, accessories, and shoes to your bag as normal. If you've been eyeing up something from Topman for a little while, there's never been a better time to order it. The discount is valid today and will run for a limited time – so you haven't got long left to get your cut-price clothing. You can also use the discount code "SANTA" to get free express shipping on orders over £50. Want your new garbs in time for Christmas? Order by Sunday 23rd of December.